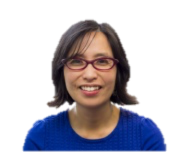 Wai Ling has been working in and around software delivery teams for almost 15 years. She has been leading co-located and distributed Agile teams in small and large organizations over the last 9 years. Her passion is growing and developing teams that create software that makes a difference. She believes that building amazing teams starts with growing individuals by developing their strengths, talents & passion. As a trainer, she loves to teach by bringing in the practical examples from her broad experiences and weave in stories from the different organizations from the past.